Overview: Welcome to the dark side! The number 13 and spooky images bring about scary thoughts- in this case, 13 might just be your new lucky number! 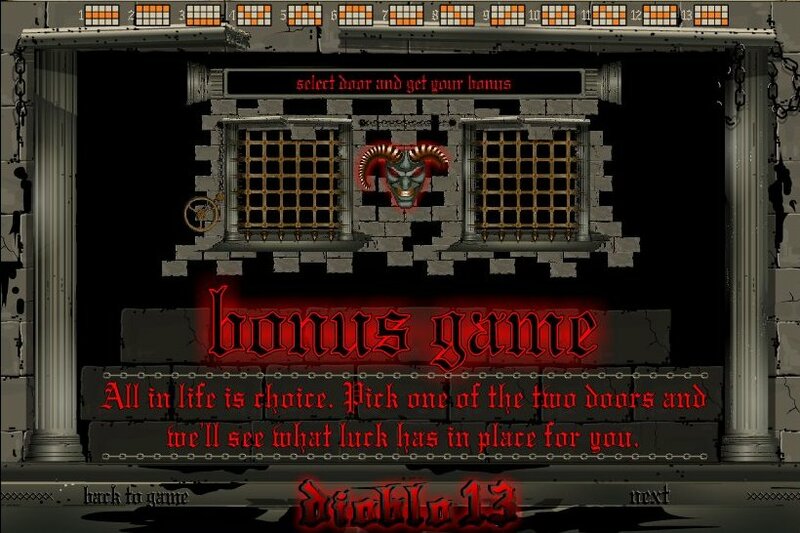 At Diablo 13 Lines video slot game, you won't fear shiny-eyed skulls and black cats because they will earn you money! 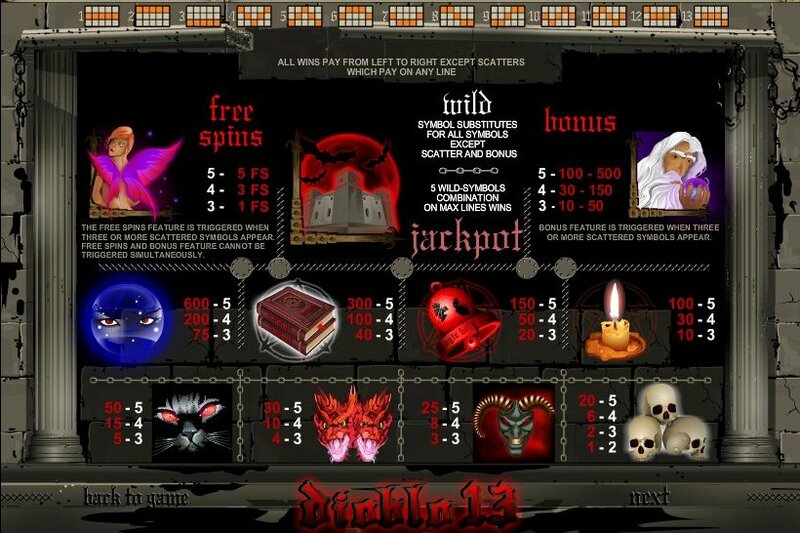 Place maximum bet and hit 5 haunted castles to win the Jackpot! 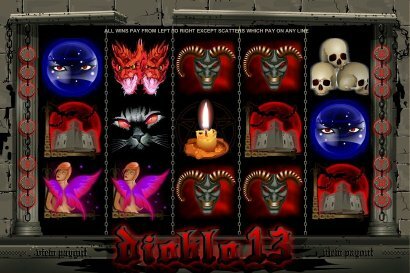 Similar Slots: If you like Diablo, you might like these other slot machines from Top Game: Fruit Slot (25 lines), Lucky Fishing, Mad Orchestra, Slotstructor, Sweet Surprise 25 ines.